The One Pinterest Tip Every Blogger Needs! I pin. You pin. We all pin. And we all want to pin the best, most unique pins at the most optimal time to the best boards in order to get the most traction from our pinning efforts, right? This is going to be a fairly short post. If every single blogger were to implement this one tip, each of them would most likely increase their reach (more original pins from their website) AND we (bloggers and pinners) would all be saving precious seconds and eventually minutes and hours each year! 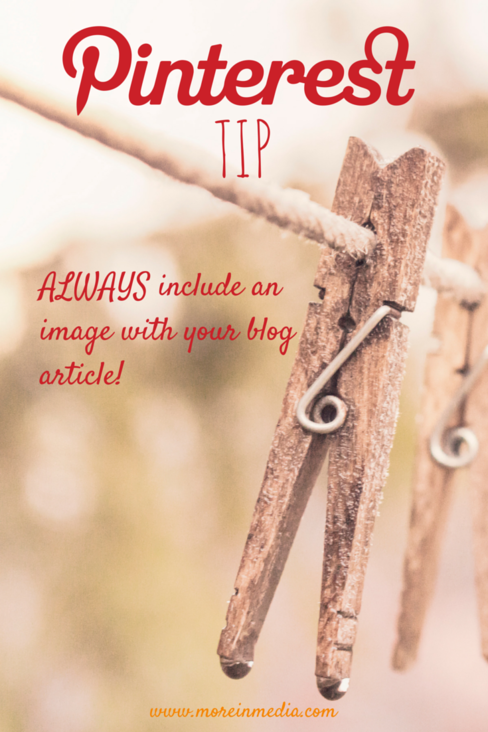 Let’s start with basics: Every single blog article that you write, should have an image. 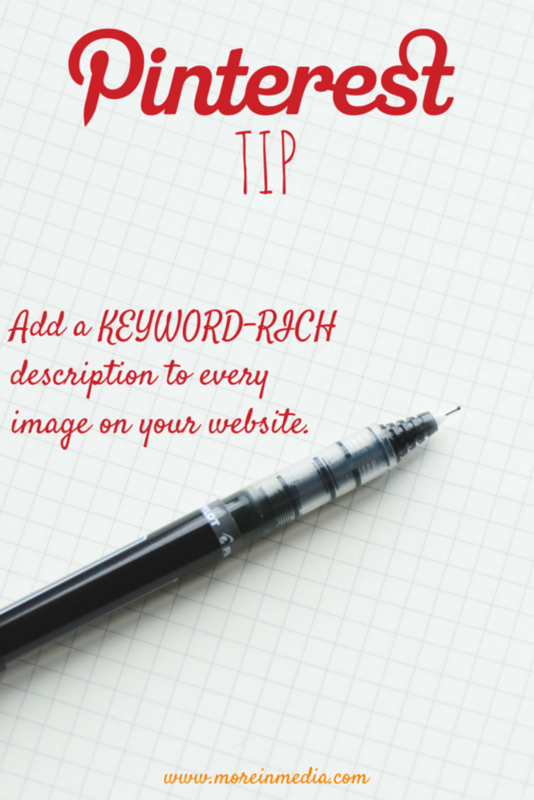 Next: Every single image you upload to your website should have a detailed, keyword-rich description. 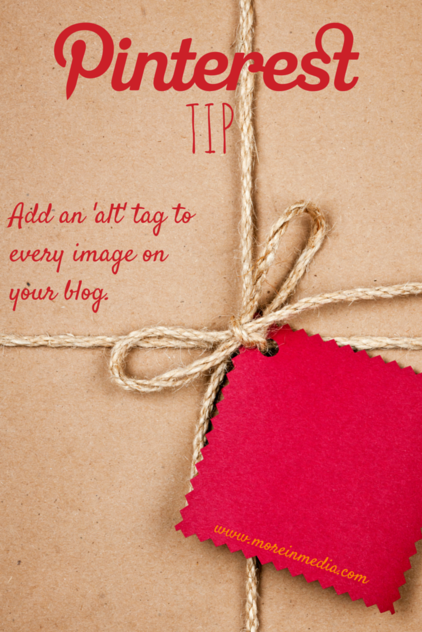 Then: In order to making pinning easy and most effective, you need to give each image an ‘ALT’ tag as you upload it to your website. That ALT tag generates the automatic description you’ll find underneath any image you try to pin from any website. 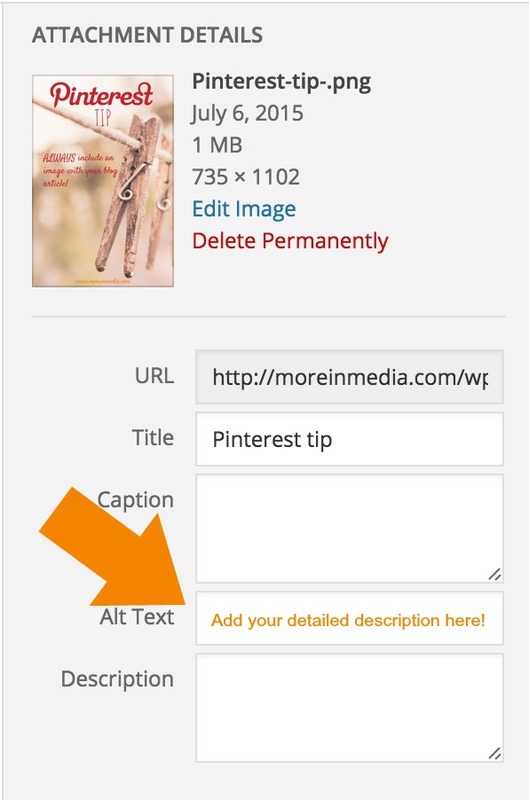 Then when you, or someone else, goes to PIN the image… the ALT tag will become the default pin description! Here is an example from my own blog. 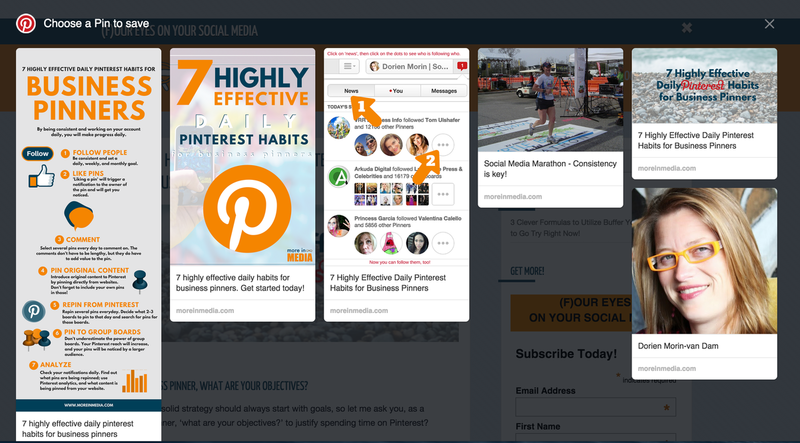 This recent article called ‘7 Highly Effective Daily Pinterest Habits for Business Pinners‘ has 7 pinnable images. When I clicked on the Pin It button, these 7 images with their ‘default pin descriptions’ came up for this one article. NOTE: These pin description can be edited by the pinner as they go to pin to one of their boards. REALITY: Very few pinners actually change the default pin description. Therefore, make sure the ATL tag (or ALT text) has the right keywords and full description (and possibly a link!). It will save pinners time. It will describe your pins correctly. It will make your pins stand out. It will give you more repins. It will ultimately give you more traffic! How do your pins measure up? I am not going to call anyone out, but this is a huge pet-peeve of mine. I see large (social media and digital marketing) brands make this ONE mistake over and over and over! Most often, instead of pinning and changing the description manually, I just skip the pin and go tweet out the article instead. Can you say ‘missed opportunity’? This article was syndicated from Business 2 Community: The One Pinterest Tip Every Blogger Needs!